So you have completed your data science learning and are pitching for a job. If you have done an online course, like the ones we offer at Springboard, you will most likely receive mentor guidance and leads for data science job applications. However, if you are an IT or statistics professional looking for a lateral shift to a data science career, you may be wondering what questions you have to deal with in an interview. 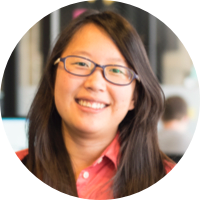 Carving a career in data science is not merely about steep salaries. It is also about your own passion for data, analysis and out-of-the-box thinking. It is about domain knowledge, analytical tools and technical skills, that can swing around the most challenging business problems to a profitable driver. So if you are thinking of applying for a data scientist job, walk through these steps and learn how to crack that data scientist interview! At the outset, get your portfolio in shape. Notch up your toolbox skill sets. Make yourself familiar with the business environment in India, that has transformed the country into one of the largest economies in the world. Understand the innovation landscape powering this momentum and ask yourself how you can be a part of it. How ‘deep’ should be my grasp of statistics? Which programming languages should I learn on a need-to-know basis? What add-on technical skills can get me a good offer? How can I best demonstrate my toolbox savvy? So are you ready with the “josh” to tackle a data science interview? 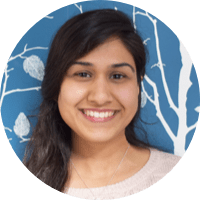 Although most interviews begin with a question asking you to introduce yourself, data scientist hirers in India look for a strong understanding of the basics. As a data science job role calls for multiple skill sets and knowledge base, the interview questions include a mix-match of the basics, depending upon the business model of the company and technologies used. We have listed some of the most-asked interview questions and answers, so you know what you are up against. Some are simple and to-the-point, while others may be tricky and open-ended. Questions usually begin with the core fundamentals and move on to tougher ones if you are lucky to make it that far! A1. Differentiate between univariate, bivariate and multivariate analysis. Univariate analysis is used where the data contains only one variable, bivariate analysis when there are two variables, and multivariate analysis is implemented when there are more than two variables. P-value is the probability value of the occurrence of a given event, measured by assigning number between 0 and 1. When performing a statistical hypothesis or null hypothesis (H0) of a study, the p-value helps to determine the strength of the results. The null hypothesis is the inference about a population of statistics. Generally, the p-value of 0.05 is used as a threshold. A low p-value (< 0.05) indicates strength against the null hypothesis, which means the null hypothesis can be rejected, and the alternative hypothesis accepted. A high p-value (> 0.05) indicates the evidence against the null hypothesis is not strong enough, and the null hypothesis cannot be rejected. A4. When is resampling done? To validate models by using random subsets. A5. What are the types of biases that can occur during sampling? Selection bias occurs when there is a bias in sample selection. The sample is not representative of the population under analysis, as proper randomisation was not achieved during sample selection. An error is introduced due to the non-random population sample, creating a distortion in statistical analysis. Logistic regression is a statistical method for analysing a dataset in which one or more independent variables determine an outcome. It is used in predictive algorithms, when you need to predict a binary outcome of a linear combination of predictor or independent variables. Example. To predict whether a particular customer will buy an online product or not, the outcome of the prediction is binary (yes/no), and the predictor variables are the previous spend data of the customer, buying or browsing behaviour, cart abandonment rate, etc. take when outliers are identified? The answer demonstrates your analytical skills. So explain the process briefly with examples, to display your understanding. -> sorting the data -> calculating the medians of the first half (Q1) and second half (Q3) of the data -> deriving the difference between the interquartile range (Q3 – Q1) -> identifying outliers by the position of data point. A data point that falls outside the inner fence is a minor outlier, and a data point that falls outside the outer fence is a major outlier. Once the outliers are identified, they have to be examined in the context of the nature of the data set, data validation protocols, and the behaviour of the variable being analysed. If the outlier is uncharacteristic but correct, like a large cash withdrawal, it is left untouched. However, if the outlier is unrealistic like a peak city temperature of 250 degrees, it is incorrect and has to be dealt with. When feasible, a resurvey is done for fresh data collection, or otherwise if not feasible, the data point is deleted. A8. 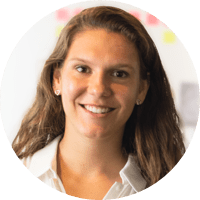 What is the goal of A/B Testing? A/B Testing is a statistical hypothesis used when there are two variables, A and B. The objective of A/B testing is to generate insights by testing both variables A against B, to discover which performs better. A/B testing is done in testing two versions of a web page, and to detect what changes in each web page can maximise or increase an outcome, like better conversion rate for a page. B1. 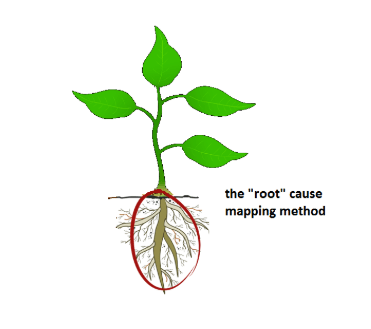 What is root cause analysis? As the name suggests, root cause analysis is a problem-solving technique used to identify the root causes of faults or problems. It adopts a structured approach to eliminate the root causes of an incident so that the most effective solutions can be identified and implemented. B2. Explain the steps in making a decision tree. Identify the decision to be made i.e. the problem to be solved or the question to be answered. Gather relevant information. Take the entire data set as input (root node). Look for a split that separates the dataset. Apply the split to the input data. Re-apply steps c) and d) to the divided data. Add more branches and leaves. (Branches connect to leaf nodes, containing questions or criteria to be answered). Stop when a stopping criteria are met. Clean up the tree if there are too many splits. This pruning (opposite of splitting) removes sections of the tree that add little value to the classification and improves predictive accuracy by reduction of overfitting. Data preparation is the process of making sure that the data used meets the needs of the analysis, is of high quality, precise, describable, and in a format that can be used by the data scientist. B4. When must an algorithm be updated? There is a case of non-stationarity, where the statistical properties like the mean, variance or autocorrelation are changing. B5. 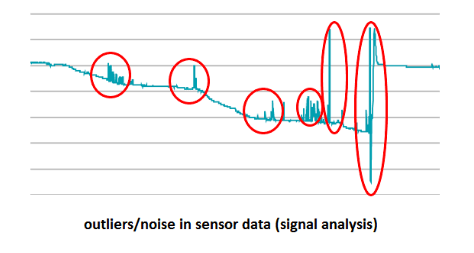 How does data cleaning play a vital role in the analysis? Data is often collected from multiple sources and is always in a raw format. Datasets come in various sizes and are different in nature. Data cleaning is essential when data comes from heterogeneous sources, as the time taken to clean the data increases exponentially with an increase in the number of disparate data sources, dataset sizes and the volume of data generated. It helps to transform and refine data into a usable format, that data scientists can work with. Cleaning up data removes errors and inconsistencies, and improves the quality of data for robust analysis. For instance, removal of duplicate or invalid entries, refines the analysis. Data cleaning reduces analysis time by nearly 80%. It improves the accuracy and performance of the model, as biased information can alter business decisions. C1. What is the difference between supervised and unsupervised machine learning? Supervised machine learning uses a full set of labelled data, i.e. data is tagged with the answer the algorithm should come up with on its own. Unsupervised machine learning doesn’t required labelled data. In supervised machine learning, the machine learning task is trained for every input with a corresponding target or response variable. In unsupervised machine learning the machine learning task is trained only with a set of inputs with no target variable, or specific desired outcome. Supervised learning is useful in classification and regression problems. Unsupervised learning is used in problems of clustering, anomaly detection, associations, and in autoencoders. C2. What is ‘Naive’ in a Naive Bayes? Naive means the algorithm used to classify objects is ‘naive’ or uniformed, as it makes assumptions that may or may not be correct. C3. Explain Decision Tree algorithm in detail.Decision tree is a supervised machine learning algorithm chiefly used for regression and classification. The dataset is continually split up into smaller subsets of similar value, to develop a decision tree incrementally. The result is a decision tree where each node represents a feature (attribute), each branch represents a decision (rule) and each leaf represents an outcome (categorical or continuous value). C4. What do you understand by the term recommender systems? Where are they used? Recommender systems are a kind of information filtering systems, to predict ratings or preferences based on content and collaboration. Recommender systems are commonly used in ecommerce, movie review platforms, music downloads, dedicated apps, news curation, and so on. C5. What are the different types of collaborative filtering, and what are the common methods used? Memory based approach uses the entire database for prediction. Common methods are classification, neighbourhood and item-to-item. Model based approach develops models using various data mining and machine learning algorithms to predict users’ rating. Common algorithms are Bayesian networks, clustering models, latent semantic models such as singular value decomposition (SVD), probabilistic latent semantic analysis, and Markov decision process based models. Hybrid approach combines the memory-based and the model-based algorithms, to overcome limitations like sparsity and loss of information, as well as to improve predictability performance. D1. When does a neural network model become a deep learning model? When you add more hidden layers and increase depth of neural network. D2. 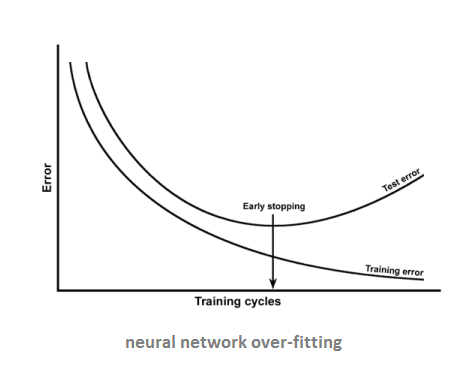 In a neural network, what steps can prevent overfitting? Adding more data, using Data Augmentation, Batch Normalisation, Reducing architecture complexity, Regularisation, and Dropout. architecture of neural network is best suited to solve the problem? The Convolutional Neural Network is best suited for image related problems because of its inbuilt nature of factoring changes in nearby locations of an image. Stochastic Gradient Descent, to get the best possible neural network. you choose to make use of this pre-trained network, and why? The answer demonstrates your problem-solving skills. So explain the process briefly with examples, to display your understanding. If the data is mostly similar, the best method would be to freeze all the layers and re-train only the last layer; because the previous layers work as feature extractors. It is not all about mentioning the projects you have worked on, or tools used. At a data science job interview, you will be assessed on your understanding of why you chose an algorithm or a technique, and why you reached the conclusion. Generally, a sound, hands-on knowledge of Python, R and SQL are considered must-haves. So you can expect to be grilled on the same before you are tested for other tools and languages mentioned on your resume! E1. Give examples of aggregate functions in SQL. COUNT() function returns the number of rows that match a specified criteria. AVG() function returns the average value of a numeric column. SUM() function returns the total sum of a numeric column. MIN() function returns the smallest value in the table. MAX() function returns the largest value in the table. DISTINCT function returns distinct or different values, allowing you to omit duplicates. Any value except duplicate values can be inserted in column A of table 1. However, because of foreign key integrity (column B in table2 referenced by the column A), values other than 1, 2 and 3 cannot be inserted in column B.
E3. Python or R – Which would you prefer for text analytics? The answer demonstrates your understanding of the two programming languages and their application in real-world scenarios. So explain the reason why you opt for one vis-a-vis the other. Better still, if you can demonstrate your knowledge with examples. It performs faster for all types of text analytics. Can be used further for data manipulation and repetitive tasks, like say, social engineering techniques. It has the Pandas library that provides easy-to-use data structures and high-performing analysis tools. It can also be used to explore Deep Networks using Long Short Term Memory (LSTM) for more refined results from a vast dataset. E4. What are negative indexes and why are they used?The sequences in Python are indexed, i.e. in an ordered list with both positive and negative numbers. Positive numbers use ‘0’ as first index, ‘1’ as second index and so on. The index for the negative number, however starts from ‘-1’ and continuing below. Negative indexes use counting from the last element in the list or the penultimate element, so you count from the right instead of the left. Remove any new-line spaces from the string, and allow the string to except the last character that is shown as S[:-1]. Show the index to represent the string in the correct order. Reduce the time spent, in writing, to access the last item of the list. A guesstimate is a portmanteau of guess and estimate, used to make a rough approximation pending a more accurate estimate, or just an educated guess. Guess questions are common in interviews for data science roles. You are judged on how structured your approach is, how good you are with numbers and mental calculations, and if you are able to quickly analyse using different methods. EXAMPLE 1. Guess-estimate the quantity of cheese consumed in Bengaluru in a day. The guess-estimate considers either the consumption side (end customer, grams consumed per person, types of cheese available in the market, etc.) or the production side (brands in India, quantity sold, etc.). consumers with diet/medical restrictions (diabetes, heart problems, high cholesterol, etc. ), and so on. Work out the population of Bengaluru in this age group, the statistics related to users and diseases, and other variables. Assign percentages and appropriate weightage to make a guess-estimate! EXAMPLE 2. How many red coloured Swift cars are there in Delhi? Consider Swift as a youth brand, and red Swift as a sporty vehicle more than a family car. Going by this logic, consider the numbers in the age group 25–40 as buyers of a red Swift. Further, assuming that Swift has an approx. 10% market share in the car segment, and assuming than 5% of the people in Delhi in the age group 25-40 can afford a car, you can get your values. At the end, think of how many Swift red cars you see on the road (one of every six? ), and derive your final numbers of red Swifts in Delhi! So think aloud, as you connect numbers and links, and work your way through the puzzle before you find your Eureka moment! Jagdish Chaturvedi, Director, Clinical Innovations at InnAccel, however, has a unique but perhaps useful take if you want to be thinking on your feet. According to his comment on Quora, “there are very few lateral thinkers and everyone wants to hire them. The reason for these questions often is to elicit some lateral thinking and not meticulous and detailed logic.” So he says, you have the option of an “Akbar-Birbal answer” if you find yourself in a tight spot. Ultimately hirers want fast and smart thinkers! The answers demonstrate your analytical skills. So walk through your reasoning. Begin with understanding what the company does. What is the business problem? Why are they applying a certain technique? These questions help you find solutions to the problem being considered. Increase in sales volume with every 10% drop in unit price. A price hike of up to 20% is allowed. Traffic congestion on route X, which also has a traffic signal configured for 120 seconds time. EXAMPLE3. How would you investigate a drop in user engagement? 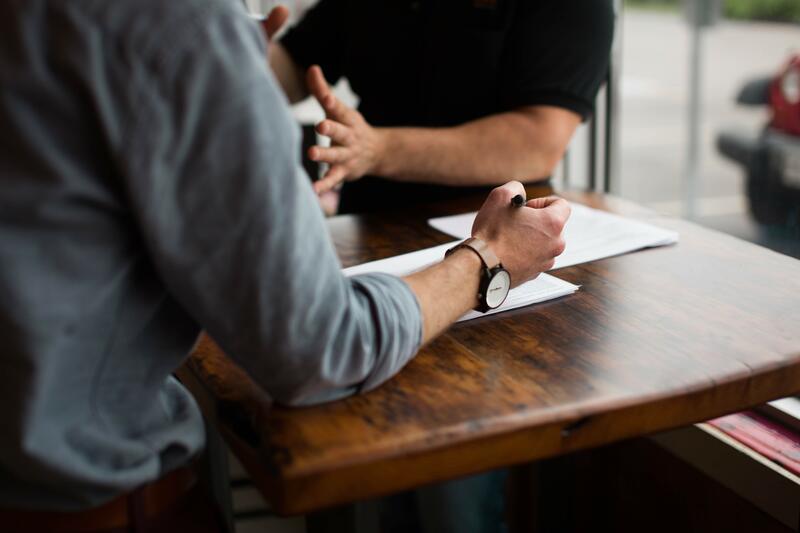 The nature of interview questions usually depends upon the analytical and technical skills required by the hiring company, and the typical issues surrounding the business and industry it belongs to. So now you have an idea of interview questions, get cracking. Prepare yourself for your data science job drill. Survive the interview hot seat and grab that job you want!